Free Halloween Printables Decorations - FREE exclusive SpOOky Banner! I LOVE photos. I love to take them and I love to display them. I especially love displaying photos of my kids…I know, what mom doesn’t? That is why you are going to LOVE this next set of exclusive printables created by chickabug. And just in time for Halloween! I have been displaying past photos of my kids dressed up in their halloween costumes for a few years now and have been meaning to share this idea with you because it is so fun. I photoshop the year right on the picture and put them out as a Halloween decoration. I was trying to figure out how people that don’t have photoshop could do something similar when it hit me…chickabug and printables! Gather all your adorable halloween pictures, I know you have them! Or if you are like me, they are on your computer so print them out (4×6 size). Look through all the patterns from the printable set, find the ones you like and that fit the orientation of your picture (horizontal or vertical), cut them out and paste your photos, then paste on the year circle so you know which Halloween it was. Don’t have pictures to display? No problem! Heather also created some fun words you can print and display. Here is one of them. I just printed the background and then the letters. Then I cut them out (leave the top white and just fold it back in order to hang), pasted them together and hung them over some trim. I know most of you are a lot more crafty and are already thinking about how you will bling these out! You can dress them up all you want with ribbon, tags, stickers, stamps, glitter, etc. or just print and hang as I did. Either way they will be adorable! Where can you get these spOOky FREE printables?! Lastly, thank YOU for supporting HowDoesShe! We are truly grateful for each one of you. We hope these printables help you to spOOK out your house. and don’t forget to print these out from last year..
« Are our bodies supposed to move like this?? I tried clicking the link from my email and it said error. Yea! SO cute!! I love the idea of displaying past Halloween costumes. Genius. Why haven’t I thought of it? Thank you Lovely Ladies from How Does She and the connections you have! These are totally adorable! We are hosting a Halloween Party this year… So I am excited to use these and show off the photo’s we have from past Halloween’s… Now I can display them on our fireplace! Awesome! Thanks Again! I love the boo banner and especially the one with the Halloween year and photos of your kids in costumes! What a darling banner! I love it! Thank you so much for sharing!!! I’m an email subscriber, but I didn’t get this! And I NEEEEED it desperately. I’m an email subscriber, but accidentally deleted the newsletter before downloading the banner. Can I get it resent? Absolutely! Check your email soon. Thanks! 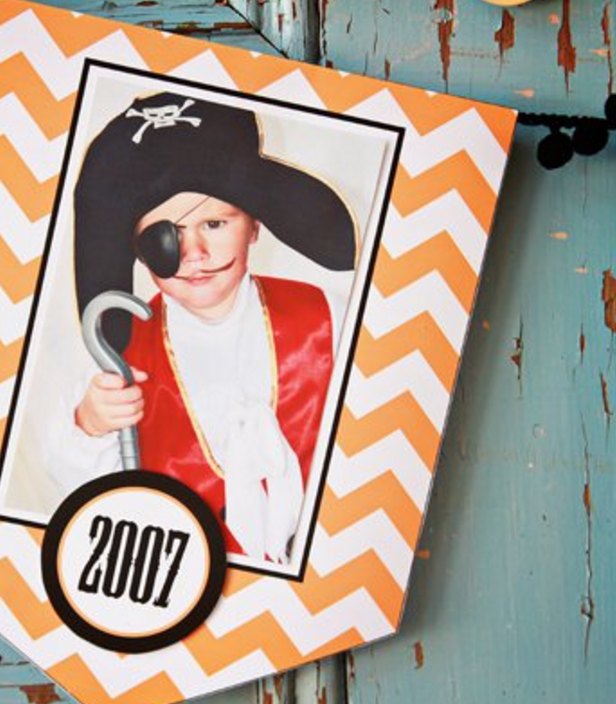 What a cute way to display how adorable your kids look dressed up for Halloween year after year! I’ll bet they love to see themselves out on display in their costumes, too! This is exactly what I needed. I have been trying to find a cute way to display photos of Halloween’s past. Thank you!! I had a lot of fun putting this together. I’d love one for Christmas pictures too!!!! Wish I knew how to create something like this. I love this idea, its really cool! I’m already a subscriber, but must have missed this one by accident! Can I have the password please…I would love to make this banner with my kids faces in it! I can’t seem to find the password I either deleted the email or am looking at the most recent, can i get the password I really want the adorable banner. What a wonderful idea! Thank you so much. I will be signing up so I can try my hand at the banner too! I am a subscriber, but missed this printable! I would love to have it if you can resend me the password?? i tried to find the link on my email in both my inbox and junk mail and couldn’t find it anywhere…and i am a subscriber :(. how do i get it? I signed up to get the free printables and newsletter, love everything so far 🙂 But wanted to know, Where did you get the sparkly ‘welcome’ bat from? My sister gave it to me for my birthday – she bought it a boutique, I think. Sorry that doesn’t help you find one. Hi, I downloaded your halloween banner printable and it’s so cute but I’m having a slight problem with it. It’s not printing in the correct color. I replaced my ink cartridges and I printed a couple of other printables from you and they printed normal. The other printables that I checked were the Christmas banner and the Halloween favor box and the colors are fine with those but the Halloween banner keeps printing in red and blue instead of orange and black. I’m going to save the red and blue ones for 4th of July instead of throwing them out but I really want to print the correct colors. It’s in orange and black on my computer screen and in the print preview but it’s just not printing. Have you had this problem before? I’m having the same problem. Wondering if there was a solution to the color discrepancy. Thanks in advance! I missed the email! Can it be sent to me again?! I love the Halloween banner kit! Thank you for sharing! I really wanted all of the letters to be black. At first glance it appeared that each letter was available in black and orange. Is there any way to make those two letters black? Is there an “editable” version of the banner kit? Thank you so much for sharing! I’m having the same issue as another follower mentioned. The ink is printing in blue and red rather than orange and black. Do you have any suggestions? I am a subscriber but I must have missed this. Can I please have it resent…so want to make this banner for our family night Halloween party and surprise my grown kids with old pics!! Hi! I had the banner downloaded on my phone to print and I lost it! How can I get it back? Hi! I’m trying to print this Halloween banner but its printing in red and blue instead of orange and black! The Christmas banner prints just fine but the Halloween one looks like the 4th of July! Could you resend it to me and I don’t have my password anymore either so could you send that to me as well if I need it? Thanks! Is anyone going to respond to my question? Can you please send me the password again to download the Halloween picture banner? I can’t find the email anywhere. I thought I saved it in my Halloween folder but no luck. Thanks in advance! So mine is also printing in red and blue. How do I fix that? I thought maybe my ink was low but I just saw someone else with the same problem. Help please! Thanks! I am unable to down load the halloween banner. Could you please email me a link to their page. I am unsure of what the passwoed is also. I left a comment a few days ago and sent an email but haven’t heard back….mine is printing in red/blue and not the colors shown. I thought it was my ink or printer but since others have the same problem I thought there might be a simple fix. I would love to print this off to enjoy between now and Halloween….can anyone help?? Hi. I just joined and need to get this link. Can someone email it to me? Thank you. It says that I am already a subscriber, but I didn’t get the email with the printable. Watch your email it will be coming soon! I haven’t been getting my weekly emails from you. I tried to re-subscribe but I wasn’t able to. What can I do??? I would really love the spooky banner. Check your email, info is coming soon! Thanks! I can not download the banner. I love it and would really like to print it out. Love the banner! My kids aren’t kids anymore, and I would so love to see their costumes displayed like this every year – what a treat! My email had no password – could you send it to me please! Hi check your email soon! Thanks! I am a subscriber, but I don’t remember the password for the Spooky Banner. Thank you soooo much!!!! Hi! Check your email soon, it’s on its way! I am a new subscriber and would love the link and password for the spooky banner so that I can print it at Kinkos tomorrow. Hi check your email soon, I’ll send you the instructions. Thanks! Check your email soon, I’ll send details! Thanks! I am a subscriber and would love to print this out but I cant find the link. Please help!!! It says already subscribed but I haven’t seen anything recently??? What do I do? I have searched my emails and can not seem to find the one with this awesome Halloween Banner 🙁 I need to print of 2012-2014 to add to the banner. Can you Pretty Please resend it to me??? Absolutely! It will be coming soon! Hi, I just had a friend tell me about these darling banners…I must have them! I have searched my old emails and can’t seem to find it. Is there anyway I can get it sent to me. I don’t know how far the years go back but if I could get from 2006-present. These are so cute and I can’t wait to make mine. Thanks so much! Same for me. I didn’t get it either and I love it so much. Thanks so much for these printables! I love them and appreciate the time that you put into them! how are you attaching to that pretty ribbon? I put mine on card stock, but still looks really awkward on the ribbon? I am a new subscriber and I would love this download. Can you please send it to me via email? Thanks!! Check your email soon, I’ll send instructions! Thanks! Check your email soon, I’ll send instructions. Thanks! Check your email soon! Thanks Nancy! I was able to get you subscribed. Watch for an email from me coming soon! Thank you! I tried subscribing to your newsletter, but it wouldn’t go through. I’d love to have this Halloween banner, it’s so cute! I was able to get you subscribed. Check your email for more info. Thanks! Hello! I am trying to subscribe to your site but an error is occurring and will not allow it to go through. Can you help? Hi Brandi I was able to get you subscribed. Watch for an email coming soon! Hi, I have subscribed a few times and I’m not receiving an email I checked my junk folder as well. Check your email for more info! Thanks! I am trying to subscribe and keep having an error. I was able to get you subscribed. Watch for an email coming soon. Thanks! Can I print this template still? I receive the newsletter but I think this is an older post. I tried using my How Does She Shop sign on but can not find it. Hi, I love the Spooky banner and have been using it for years but I’m wondering if you can make updated year circles and post them. The last year in a circle is 2019, and that will be here before we know it! Thanks! I emailed these years ago but I am out of banners! I am still a subscriber but I no longer have the password for the link. Can you email it to me? Thank you!